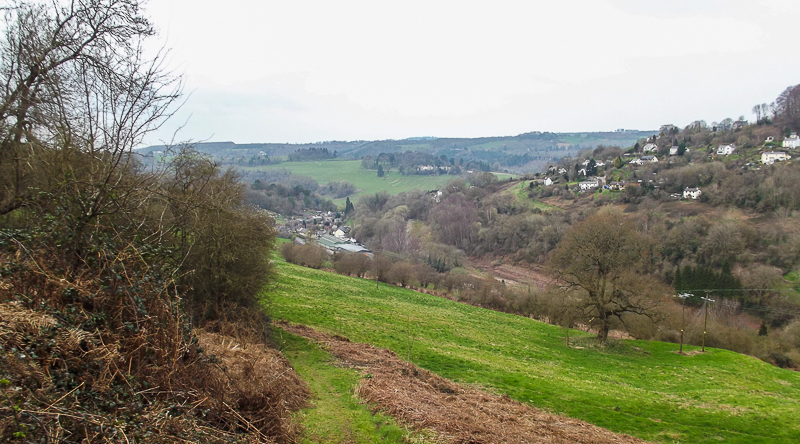 Lower Lydbrook, from the valley sides; taken on our walk. This week, we travelled back up north to our native Yorkshire and collected our daughter, Kate, from her digs with a friend. She’s finished her temporary waitressing job in the area is staying with us in our new home in the Forest of Dean until the middle of the month. Then she flies out to Thassos to take on her new role of Holiday Rep with Thomsons. She’ll be with us only for a couple of weeks, so we’re devoting some time to her and her wants, of course. The trip meant I couldn’t run on Wednesday. But I did my full 20 minutes on Friday, through the forest. On Sunday, Kate ran with me on my usual 10 minute run through the village. We ran well together. Later, my wife and I took a good, strenuous and rewarding walk through the forest hills. This coming week should be okay for the full programme again. But the following week will again be interrupted, when we take Kate to Gatwick for her flight. For the reasons mentioned above, the editing of the book has been interrupted. But I’ve managed to get a good bit done and I’m still on target for publication this month. The final edit will be after I’ve sent the draft off to my various beta readers for their comments. But, once that’s complete, I should be able to get it formatted and published fairly quickly. Lovely photographs. Hope all your hard work and efforts raise awareness and much needed funds for ME/CFS. Thank you for your kind words, Valerie.